Review: Omg! This beautiful hair came soooo fast and They sent me a birthday gift of some awesome lashes ! The hair is exactly true to length and gorgeous! The communication was there every step of the way and very sweet. I will definitely be purchasing again!! Don't wonder about this hair.. JUST BUY IT Trust me you will be in love.. Thanks again guys.. super fast shipping! Hair:24in/26in/26in and 360 lace free part. 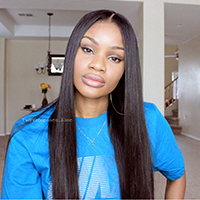 Review: I'm in love with this hair 14" 360 frontal, 16,18,20inch. Bundles were very full. Was only able to install the 18 and 20 inch bundles. Review: Love it . No shedding . I even bleached the knots and the hair was not damaged , love the baby hairs and the hairline looks so natural it looks like its coming out of my scalp .. I've already recommend this hair to my stylist its great , however it was a little smell that came with the hair but after I cowashed it , it came right out. Review: Its my 1st time ordering anything from this website, I'm glad my co-worker introduced me to this hair. The bundles are full/thick and not thin or cheap looking at all. My closure is exactly like the picture, silk base and not some knock off cheap looking version. I had to wait a little longer than I wanted, but it did arrive in a week as promised. I even got a pair of really nice eye lashes with my purchase. Thank you very much for my order, I'm truly a satisfied customer. Review: The hair is very soft and looks natural. It does have a good smell too. I long to keep a good business relationship with this seller. However I would like to receive my order faster. I will share pictures after the install. Review: I like that the hair line on the frontal. It will make it a lot easy for me to make the frontal look even more natural. The knots were lightly bleached. I sealed my wefts so I haven't received any shedding but I did shampoo and condition the hair no any funny smell. It has a very pretty wave pattern. 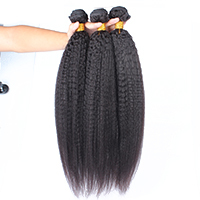 The bundles were very full and the silk base is so natural, medium brown color is the best for me. I am very pleased with my purchase thus far. Review: Simply amazing. The best shopping experience I have had on this website period! The hair is just lovely everywhere I go I receive compliments on it, and my friend just ordered the same hair today because she loved mine. This is my frist time to wear this 360 lace frontal, it make my hair looks SO NATURAL, the hairline is perfect for me, hair is "high maintenance" but it's nothing for me to wash it on the morning. I washed the hair the curls looking amazing. Customer service was amazing we communicated throughout the entire transaction. I am EXTREMELY PLEASED with the product, services, and transaction process. Will definitely order all of my hair from now on through this company, will try straight next time, i really love this frontal ! 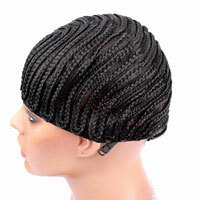 Review: I received my frontal in 3 days which is way faster than I thought, & it is so soft & full, I'm loving it. I haven't bleached the knots yet, but so far so good. Review: The hair came really fast, I wish I would had ordered the bundles at the same time. But I am pleased to have ordered from this vender. I will post a picture after the bundles arrive. Review: I love the hair it's very soft and Full and I can't wait to install it thank you ! Review: Beautiful hair and delivered on time, I will order again. Thank you. Great communication with seller aswell. Review: This unit is so beautiful! I'm so excited to instal it this week. I will upload pictures afterwards. This piece came with a tan cap as well as adjustable straps and the quality is gorgeous! 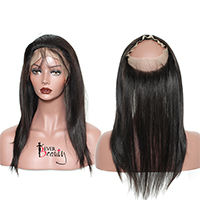 Review: Awesome lace frontal 360, hairline is just amazing, only problem is the short hairs that stick up and little tangles but after conditioning it is just flawless!! Brad Lee is just awesome!! Review: omg, I usually don't leave feedback but I'm going to forward this frontal. first of all, I don't know how to plucked or tweeze at all so I haven't wore a frontal. I usually just to closure. however, after reading a lot of reviews on this 360 frontal and see how those who have no idea about how to make frontals look natural were buying, I decided to give it a try. I must say, I'm impressed!!!!!!!!!!!!!!!!!!!!!! Don't have to anything like plucking but it is natural. I'm very very happy. will definitely be buying more more more in different hair types. I highly recommend this seller. communication on point!!! Review: The best frontal I have ever used on everbeautyonline....it's the most natural looking product I've ever used from this sight, and the hair is soft and does not tangle or shed. Review: Very nice and sft frontal. Fast delivery to UK, ordered Thursday last week and received today Tuesday. Review: The communication was great and shipping was fast considering the process of making the product. The lace is soft and is customized nicely! So far no shedding haven't installed yet will post pics once installed! Review: Brad was the most amazing seller I've ever dealt with he was so kind and quick with every response and he really made sure I had everything I needed !! This frontal is so beautiful and looks so natural everyone definitely order from them I can't wait to order more in different textures !! The hair came literally in two days I am so so pleased! !Thank you thank you again Brad !!! Review: I loveee it, I just wish the knots was bleached and some elastic bands was on this because it was a difficult install. Review: I have received my package wick super good quality as the photo was i very funny and i'm m'engage to even more order, thanks for gifts, best-seller happy ..
Review: I was a little nervous at first but the hair is beautiful. Lace is thin so it should blend easily....i will bleach the knots some towards the inner part of the unit. So far overall I'm satisfied.... Excited.... Can't wait to have it installed! Update to follow. Review: I love this unit. The hair is incredibly soft and the hairline is very realistic. Very full I only bought 3 bundles for a full sew in, in stead of my usual 4. The hair came incredibly quickly. It was about 3days. Review: best hair hands down.. don't dou le guess.. buy!!! Review: frontal is amazing, once installed. the hair is pre plucked so it cuts out so much time with prep and has adjustable straps inside. I do recommend having it bleached prior to installing. Review: It is so pretty. I accidentally bleached the roots instead of the knots, but it came out very pretty. I would order this again.? Review: I am extremely happy with my hair. The density is nice and full, no smell. now we know every hair sheds but this hair shed very little I can count about 4 strands after combing thru. It was just enough plucking from the lace. The vendor is very nice and responsive. I will be ordering again. I am very satisfied although I was a bit scared to order at first due it being my first time but I truly recommend this to anyone looking for a good 360 frontal.